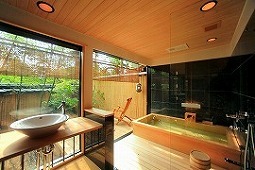 Rooms with a garden bathroom and a washroom (toilet):Second Floor. 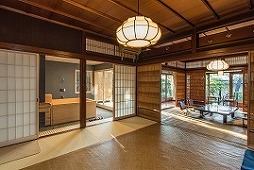 Year Hotel Last Renovated: 2015. 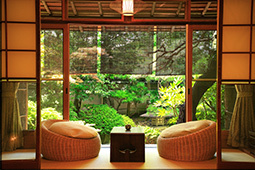 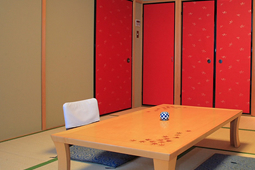 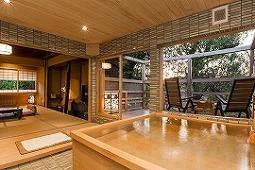 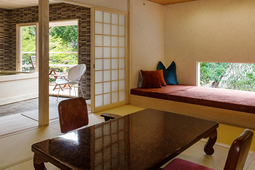 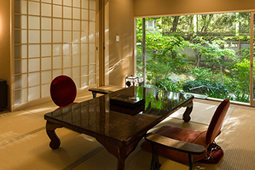 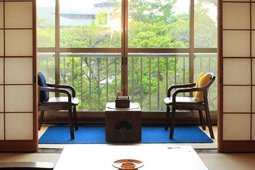 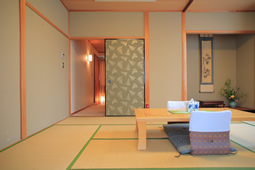 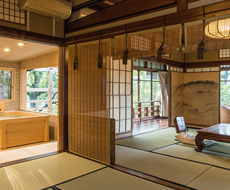 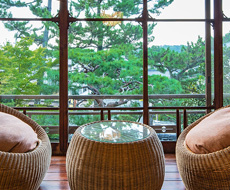 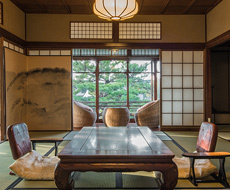 Traditinal, functional and elegant 62.30-sq.-metre room combines traditional Japanese design with modern luxuries. 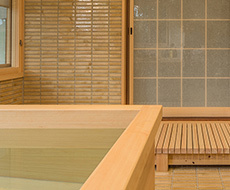 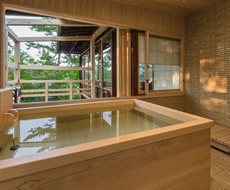 W1600 H1200 D500, Japanese Hinoki wooden tub. 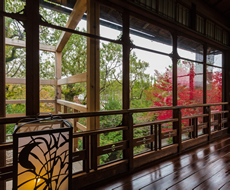 Enjoy stunning views of the traditional Japanese garden"KARESANSUI", available from sliding glass doors that lead to a balcony area. 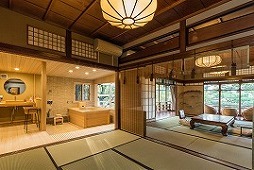 Flat-screen TV,Single sofa,High-Speed Internet-Wireless,AirMac Extreme and Apple TV,Hairdryer,Separate wet area,Individual heat control,In-room safe,Robes,Wooden "Hinoki" tub,Individual air conditioning control.